Our continued success depends on the financial strength of the WMFHA PAC. Consider your WMFHA PAC contribution as a form of business insurance. You are making an investment to ensure the election of candidates who will help protect our industry. Remember, your freedom to do business depends on our continued ability to advocate for your issues! Access. The WMFHA PAC is our vehicle to support candidates who understand our industry, our member’s needs and have demonstrated that they are willing to learn about our goals and objectives. Access allows us the opportunity to state our case to a lawmaker who is willing to listen to our views before voting on issues that impact our members. Credibility. The WMFHA PAC gives our profession and our members political credibility. Lawmakers are held accountable for their votes and the WMFHA PAC is our way to either support them on election day or support their opponents. We continuously raise money for our Political Action Committee and annually evaluate political candidates to whose campaigns we wish to contribute and lend the endorsement of our membership. Success. Growing our influence in Olympia does not happen easily. It is an ongoing and long term process that only succeeds as more and more WMFHA members participate. Our member’s involvement makes the WMFHA PAC grow in strength. Contributions to the WMFHA PAC are voluntary and are used for political purposes only. Contributions are not deductible as charitable donations for federal income tax purposes. 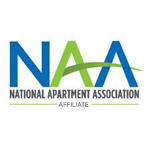 A member is free to contribute more or less than the suggested amount, and may choose not to give without reprisal from the Washington Multi-Family Housing Association.